I was having issues getting the right tool to open my Enicar Sherpa Super-Divette with the super compressor case. Specifically, Enicar's scalloped bayonet case back! Rather than keep hunting, I decided to make one in CAD and 3D print it. And it works! 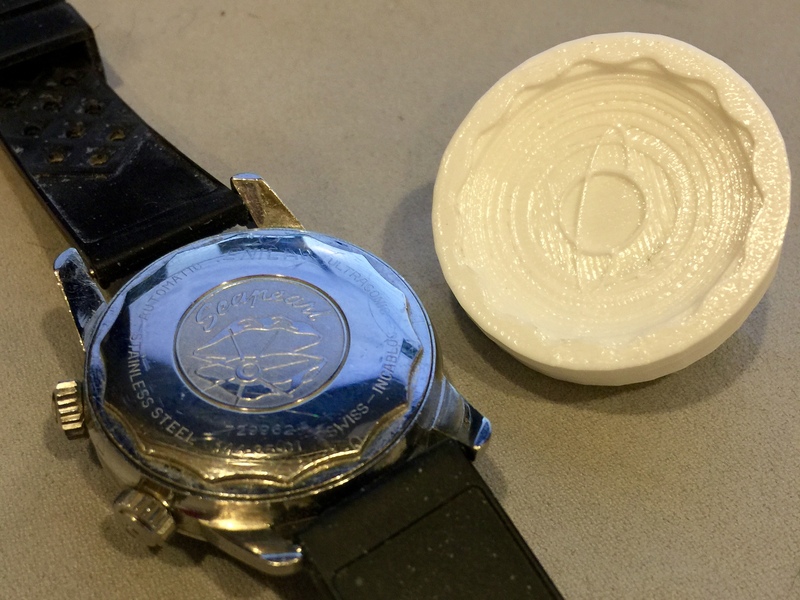 One nice thing is that PLA is probably too soft to mar the case - you're likely to crack the tool before making a scratch on your precious Enicar! WatchFred, jlo3, mikmis and 13 others like this. Thanks for showing. Going forward this could be a boon for those of us looking for odd parts. marks55 and laikrodukas like this. Good job!!! Common sense and ingenuity at its best. Clever. If the material could be made tougher it'd be perfect. Pretty cool! At least now you already have the saved design so if it wears out, just make another one. And no metal to metal contact, even better. Bobby - My original music! Check me out! Thanks! Might find this interesting. First 3D pocketwatch. I did a little checking and found a 3D printing service who can do this for $8.50. Not knowing enough about 3D printing, the term "PLA" are there other names for this material? A generic name or is that a term a printing service can recognize and confirm they can print it? By the way, not 18 hours earlier I was thinking about 3D printing an opener for my Super Divette! Cosmic. Thanks for this! PLA is the most common 3D printing material. Some also use ABS which should work just fine too. The agency definitely knows this material. Make sure they print it with maximum infill. They will know what this means too. It makes it stronger. bsshog40 and busmatt like this.